"Findings and Conclusions: The level of access to health care that Medicaid coverage provides is comparable to that afforded by private insurance. 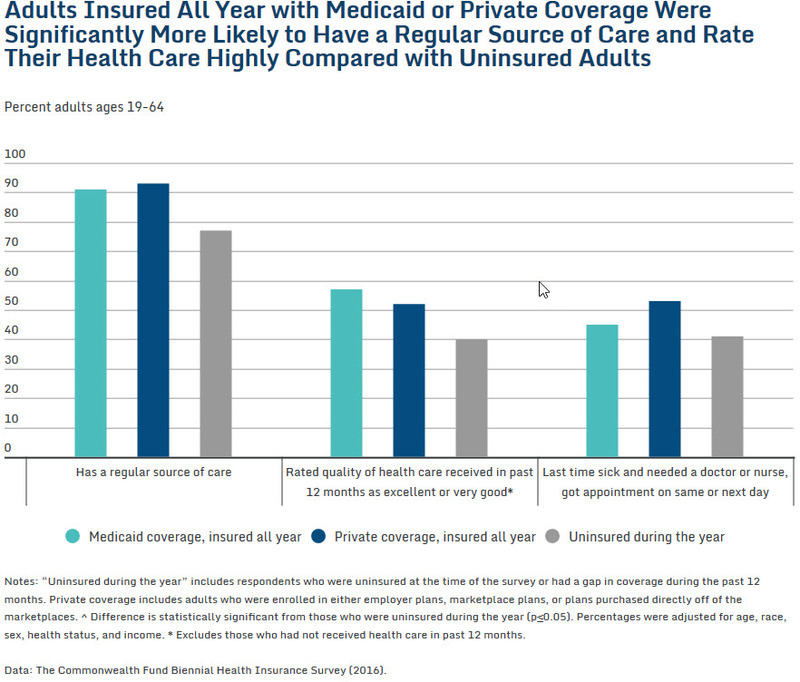 Adults with Medicaid coverage reported better care experiences than those who had been uninsured during the year. Medicaid enrollees have fewer problems paying medical bills than either the privately insured or the uninsured."